It’s again Formula 1 season in Melbourne. Lots of events are happening all around the city of Melbourne. We had the pleasure to photograph a small media event at Domaine Chandon in the Yarra Valley with McLaren Honda. Event Photography at fast paced events are always a challenge. You need a lot of different skills to get the photographs. There is a bit of landscape, beautiful portraits, product and branding and indoor photography. Melbourne F1 event photography is great fun. Lots of improvisation to get the best event photographs and a tight timeline keeps the photographer busy. The challenge is to produce great event photos which are bit more than just your normal snaps. The Forumla 1 event photography in Melbourne requires usually big lenses to capture the fast cars … we like to capture the social life beside the track. The atmosphere is something important which we want to photograph with our event photography in Melbourne. It’s capturing the little details and different perspective which we like to achieve to make every event look special. 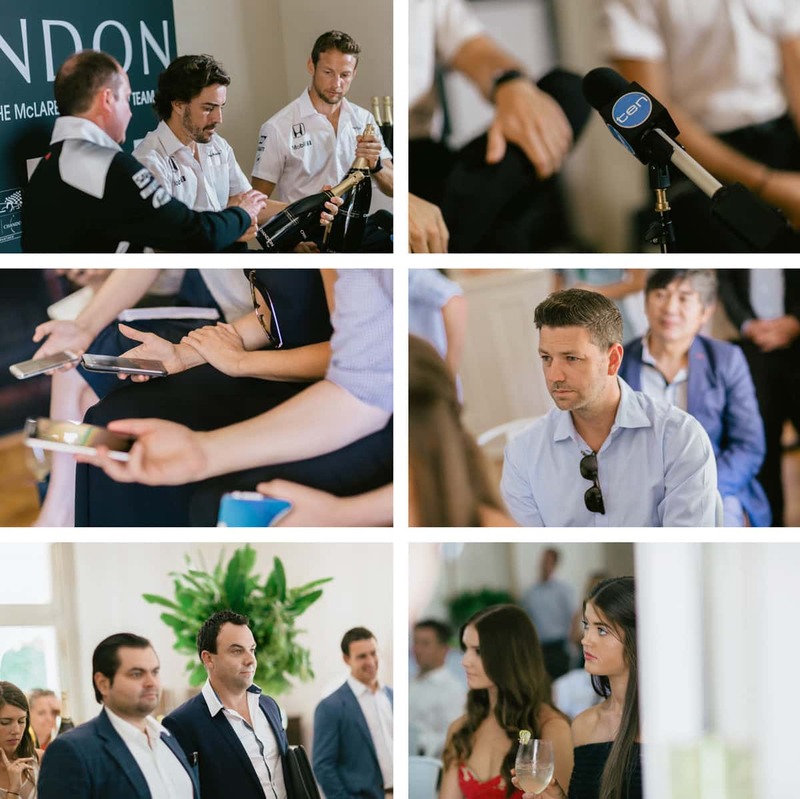 Chandon is a leading Sparkling Wine produced by the LVMH Group in many different countries (and of course also in Australia in the Yarra Valley) and is one of the main sponsors of the McLaren Honda team. 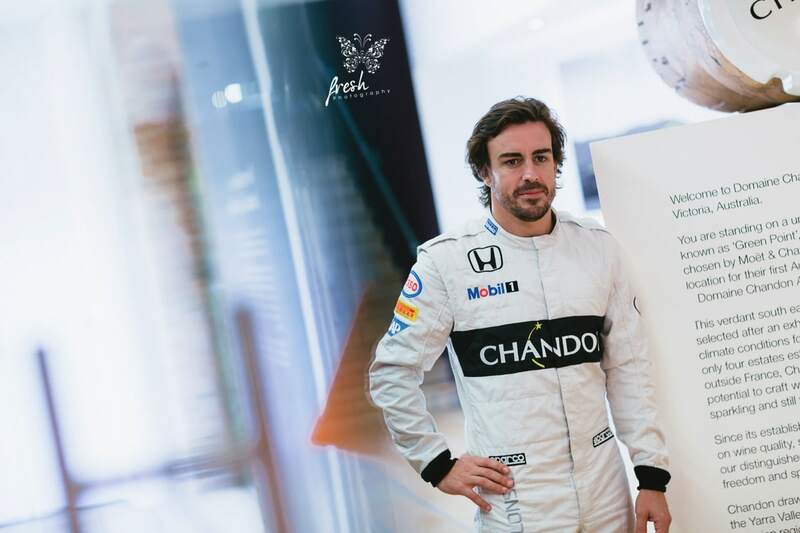 The vineyard in the Yarra Valley was used for a promotion video for Chandon and featured the two main drivers Fernando Alonso and Jenson Button from the McLaren Honda F1 team. We were photographing the press conference and some social shots for the media at this beautiful location in the Yarra Valley. A beautiful lunch was served afterwards in the amazing Riddling Hall. The Chandon vineyard is beautifully located in the Yarra Valley not far away from Melbourne. And what a space for events. Birthday parties, weddings or commercial events and gala dinners are just perfect for this venue. The Riddling Hall is one of the most amazing event spaces we know. And don’t forget to take a little tour around the vineyard and try some of the fantastic wines. Have a look at some of our photographs we took of the day – enjoy the spark!